For years, Sheri teetered back and forth between staying small and practicing as a small practitioner or making plans for growth and executing toward a bigger future. 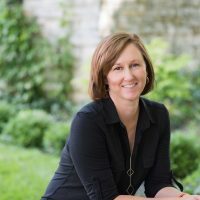 This week on EntreArchitect Podcast, How to Overcome the Fear of Growing Beyond You as a Small Firm Architect with Sheri Scott of Springhouse Architects. Sheri is a member of EntreArchitect, but her and Mark connected online a long time ago and have been supporting one another as architects for a while. As a founder and principal at Springhouse Architects, Sheri’s mission is to lead clients through the building process with the clients in control and Springhouse as their guide, advocate, and ally. With over 20 years of experience in residential architecture, Sheri brings knowledge and confidence to every custom home project. She’s a graduate of the University of Cincinnati and has her NCARB license. Sheri’s also lead architect on three HOA boards and volunteers extensively with her son’s high school marching band. She also feels privileged to be a mentor to teenage girls. She lives in Ohio with her husband and three boys. Sheri’s moment of discovering architecture wasn’t very inspiring. When she was in high school after her parents’ recent divorce and her older siblings moved out to go to college, she was lost and her grades dropped. She was called to the counselor’s office, and they asked if she wanted to be an engineer. Everyone in her family was an engineer, so she wasn’t interested in that. The one class she was interested in was drafting. To get out of the office, she agreed to apply to architecture school. She was accepted at University of Cincinnati and found the direction that she needed there. She wasn’t an artistic architecture student, but enjoyed the structure and the design classes. Sheri married before she graduated and had her first child the year after she finished school. The process of looking for a job with a six month old was different than many of those she graduated with; she had a lot of parameters in place. After searching, she found Atelier Design close to home. They let her work part time with a flexible schedule. She was able to focus on her family but build the foundation of her career at the same time. She worked there for twelve years until the crash in 2008. At that point, a lot of things happened that created the perfect storm. Her husband, John, lost his job and they took it as a sign that it was time for the next thing. John got a new job in Indianapolis, and they picked up and moved their whole family – now three boys – from Ohio to Indiana. Everything fell apart there. When Sheri left Ohio, she started Scott Architecture and negotiated one of the builders from her old job with her and her work was back in Ohio. They decided to move back and start over. After that, every month got a little bit better than the last. In 2013, Sheri connected with EntreArchitect. That was another defining year in her career. She had to make a five year plan and she was amazed that putting her life goals on paper looked totally different than it did at that moment in time. Her whole career had been a balance of family and working, and she was happy doing that. She know, however, that in 2020 all her kids would be out of the house. Where did that leave her then? She’d built a whole career balancing things, and looking down the road looks different than everything she knew. In that moment, she knew she didn’t want things to be the same as they had been. What does your work with Charrette Venture Group look like? Sheri was doing a lot of the right things and her business was growing quickly. She was in control of it where it was, but wasn’t sure if she could control it if it continued to grow. She also didn’t understand the path of who to talk to, who to bring in, what resources she needed, etc. to get to her goal of a 10 person goal in 2020. 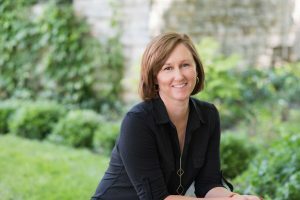 She went back and forth with the decision to work with Charrette Venture Group when she had teenagers and a busy, stressful season. When she was ready to grow, she knew that she wanted something to focus on when her kids were out of the house. Charrette Venture Group was instrumental to Sheri’s firm’s growth. She didn’t know where to start, and it was overwhelming to think that she could learn it all and find, pay for and manage the resources she needed. It’s been a two year partnership, and Sheri hasn’t regretted it once. They bring things to the table that Sheri didn’t know and that she didn’t know that she didn’t know. One helpful piece was forecasting: finding all the numbers for the jobs, the personnel, and more, that boils down to a certain number to decide if she needs to hire more people or find more work for the people she currently has. She’s built a remote team that works well together; everyone likes one another and likes working with one another. Sheri has succeeding in creating the kind of firm that she was looking for when she entered the profession. Eventually, she changed her name to Springhouse Architects. She knew that to grow she would have to release some of the client interaction and delegate some things, and she didn’t feel great about doing that with her name on the door. When did you write your book? Sheri started blogging, and then it turned into a book. It was hard work, but it’s been the single best thing she did in terms of marketing. It’s available as a PDF on the Springhouse Architects website for free. When they get cold calls or emails, they send the book over as an introduction of who they are. Tell us about your recently released app. The app – called Nester – is a photo journal app for anyone doing a construction project. It’s for the homeowner to remember what happened through the construction process. The app is free, and someone can go out to the site, take a pictures and write a note about what’s happening. The magic happens at the end of the project the app produces a hard bound coffee table book of your whole project. The name Springhouse Architects comes from the stone springhouse in Sheri’s back yard that she renovated into her own personal office. With three boys and two dogs, she needed her own space to work and meet clients. Connect with Sheri online at SpringhouseArchitects.com or on Houzz, Facebook, Twitter and Pinterest.